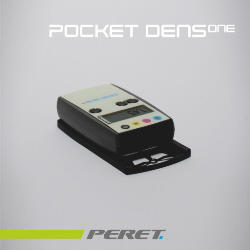 The Pocketdens is the easy to use, robust densitometer for the press room every printer should have. It measures density, dot gain, dot area and balance. The mechanical design based on a slider offers the best possible view onto the measurement patch.